Microsoft is implementing text suggestions for the hardware keyboard not just in the Chrome browser for Windows 10, but also for Chromium-based Edge (the incoming spin on Microsoft’s browser which uses Chrome’s engine). This means that as you’re typing in either browser – wherever that may be, for example in the URL window or Chrome’s omnibox – suggested words will pop up as you type, and you can use these by clicking on them, rather than having to manually tap them in. This feature isn’t live yet, mind you, but it’s currently in testing, and the feature is live in the latest version of Chrome Canary (the preview aimed at devs and early adopters in general). It’s apparently also functional in Chromium-based Edge version 75.0.111.0, according to Techdows. The capability is enabled via the Windows 10 Settings menu, under Devices > Typing, in the Hardware Keyboard section, where there is a switch to turn on said text suggestions. Once this is done, the aforementioned preview versions of the respective browsers will pick up on your preference. 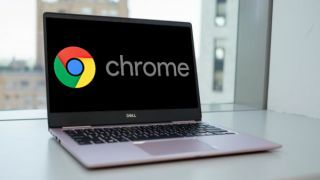 You may have seen last week that further details were spilled on Chromium-based Edge, and a full early preview version of the browser was leaked online. The good news is that Microsoft’s new spin on Edge is looking pretty slick, and already feeling responsive, even though this isn’t the finished product. That obviously bodes well for the future, and with the new Edge being built on Chromium, we can expect more overall stability and much better compatibility with websites in general.